I remember the waiting process for my first child… the buildup of being pregnant and the anticipation of all that was unknown. I could wash and fold socks, arrange a nursery, and read any book about what it was going to be like. But to be honest, I don’t know if any of that made us more ready for how our life was about to transform. In those first weeks life seemed different. It truly was beautiful but raw and strange. How are any of us to really comprehend things that are yet to happen? It seems that one must be baptized by experience to really have the best vantage point. 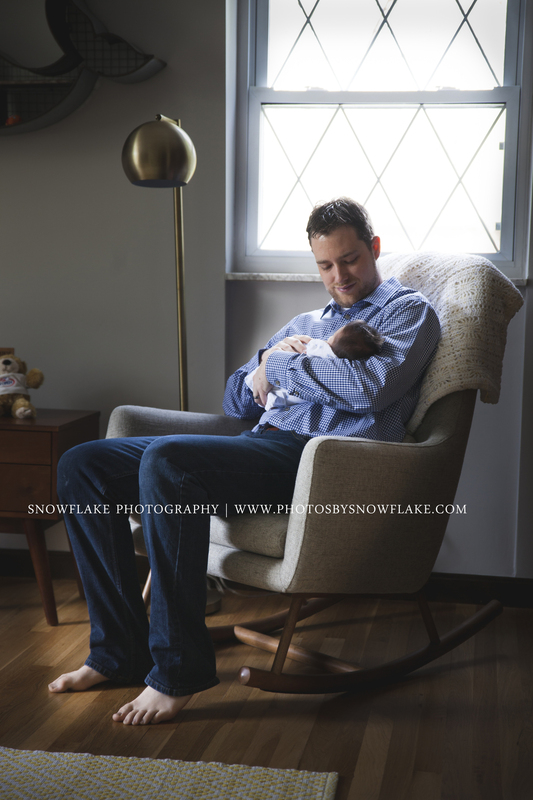 I take on a select number of newborn projects each year and this little nugget of cuteness is one of the stories I will cement into what is becoming a breakout year for Snowflake. We had everything in order for him to come this May. Do you remember his parents just a few months ago? She was in her long dark blue wind-blown dress and he the ever adoring husband. We thought we had many weeks to wait and then much to everyone’s surprise they were graced with their son weeks ahead of schedule. I spent a beautiful morning with the three of them in their new home. We captured a few moments for they are fleeting… these days with interrupted sleep, warm baby breath on our necks, and blurry eyes trying to take it all in. You would never know any sleep deprivation by this beautiful new mom and dad. Welcome to the world little guy!